“Do not love the world or anything in the world.” [1 John 2:15] Why do people—even Christians—not like this verse? Why would I rather cut it out of our Bibles than paste it into my lives? This is not a verse you underline as a favorite, claim as your life verse, or even care to like. In fact, most would say, “You can’t be serious? This verse sounds so Puritan. This verse is awfully intrusive. Shouldn’t it say, ‘Don’t love some things, rather than anything?’ Surely this verse is for people in Jesus’ day, not us?” No. It is for you. There is no way around it. And God is serious. He does not want to be equal or lesser loved than anything in this world. What does it really mean not to love the world? What does it mean for me? Does it mean I have to give up listening to unchristian music, R-rated movies, MTV, video games, making lots of money, gossip magazines, or my short shorts? If you were really honest you don’t want the answers, especially from a 2000-year-old book that may seem out of touch with today’s culture and trends. There is a great danger to treating this verse—and for that matter, God’s Word—as trivial. God intended His Word to be heard. Every word He wrote is intended for created man to be listened and adhered to. Do not subtract from the simplicity of this verse because it makes you uncomfortable nor add complexity to it with legalistic rules impossible to follow. Do not empty its authority, nor add your own authority to it. If you ignore this verse or others like it you are being seduced by the very world that God asks you not to love. What does it mean to not love the world? Is it that I am supposed to recycle and keep this world a greener place for the next generation? That is true, but that is not what world means in 1 John 2:15 [kosmos = order]. God created the people in this world with order and said it was very good. However, those God created would rather worship the creation than the Creator. Therefore sin—an enemy of God—entered the world and creation fell into chaos away from God. To love the world is to love the fallen world, which Satan dominates and manipulates [John 12:31; 1 John 5:19]. Worldliness has a way of desensitizing [making you soft] towards sin making you think you are in control of the chaos. To love the world is to worship self and stuff above the God-King who created the world. Does that describe you? Do you love the world more than God who created the world? Are you driven more by money, success, skills, and security than following the purposes of God? Are you ruled and dominated by the world? Are you waging war with God? Demas is an example of one who was “in love with this present world” and drifted from God [2 Timothy 4:10]. The drift did not happen over night, it happened subtly, quietly and gradually. Demas was like a spiritual meteorite. One day he was burning bright, but the next faded into nothing. I have seen many Demas’ that have shot through the spiritual skies for .04 of a second. Only to fade and drift just as fast from the fellowship of the church, from reading the Word of God, from listening and applying the Word, from sharing their faith, from singing the songs and meaning it, from faithfully attending church, and from fighting against sin. You too can become gradually weakened by the world nagging for your attention, subtly poisoned by the world’s promises, and eventually become conformed and accustomed to the world. Are you drifting? Was there a time when you were passionate about God and doing things for God? Were you once devoted and committed to following Christ but seemingly lost that spark? Demas was like that too. Demas’ downfall from following Christ came from a lack of love for Christ; instead he cultivated his love for the world, which spoiled his spiritual taste buds. Love for the world begins in the heart. Your heart is your control center, which is where you entertain and energize your desires and passions [i.e. root produces fruit]. If your are rooted in loving the world according to 1 John 2:16 the fruit you will bear is, “the cravings of sinful man, the lust of his eyes and the boasting of what he has and does.” Craving, lusts and boasts are all rooted in the heart and their fruit is sinful chaos. The world demands and commands you to be preoccupied, captivated and obsessed with whatever is newest, greatest, and best. The world begs you to never be satisfied that you have enough. It makes you believe that you need the big title, the most attractive mate, the classy car, the fit figure, the fad clothing, and the thick wallet. Nothing of this world lasts. Clothes go out of style. Music fades. Movies go from the theater to DVD to the bargain bin at Wal-Mart. Famous people die and become forgotten. The glitter and glamour of this world lasts for its 15 minutes. Yet the Word of God and the gospel of Jesus Christ last forever. It is His fame that will stand the test of time. Sooner or later everyone will know that He is greater. Do you know Him? Does your heart faint for Him? “The world and its desires pass away, but the man who does the will of God lives forever.” [1 John 2:17] If you choose worldliness you choose today. However, if you choose Christ you choose eternity. Worldliness is always about the now, not the later. Worldliness is about immediate gratification, not eternal satisfaction. If you do the will of God you will live forever. The choice is yours. What will you choose? 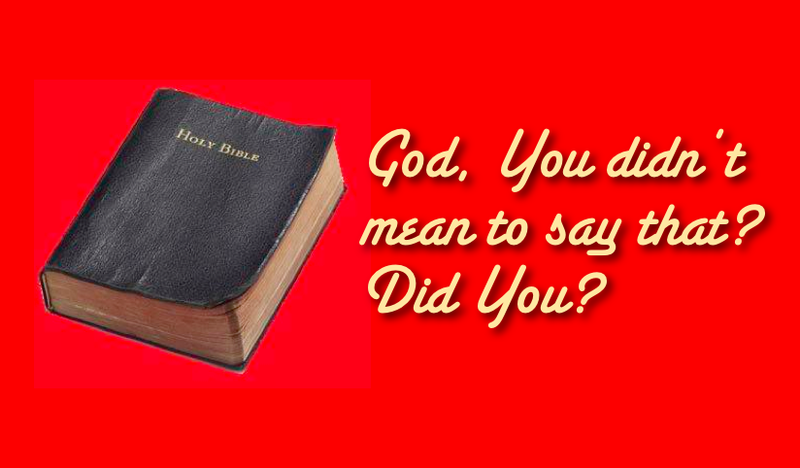 In summary, does God really mean to keep 1 John 2:15 in the Bible? Yes, He is serious as a heart attack about you avoiding affection for the world. Affection for your Heavenly Father chooses an Everlasting Kingdom. Either the kingdom of this world or the kingdom of Christ rules you. If you love the world, you don’t love God. If you love the world, you will perish with the world. And if you love God instead of the world, you will live with God forever.